Access tips and resources for building, buying or selling and maintaining your home. Learn about our networking and marketing opportunities, educational classes, advocacy efforts and business services. Tour new homes June 1-2 & 8-9. Homes are open 1-5 pm. Visit the St. Jude Dream Home! HBAGNO is the local voice of residential construction. We strive to enhance the industry through education, the promotion of thoughtful legislation, and encouraging members to do business with other members. 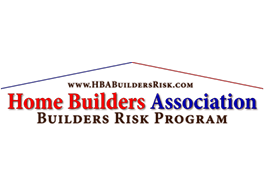 The HBA is proud of our legislative and regulatory efforts on behalf of the membership and the home-building industry. HBA staff and members lobby and monitor local, state, and federal legislation to ensure that our members’ business interests are well-represented and protected. Our communication channels offer you a unique, customized way to reach your target audience. Whether you are trying to reach industry professionals or the homebuying public. Get Involved to Start Building Relationships! Tour the newest homes in the Greater New Orleans on June 1-2 & 8-9, 2019. See the latest home technology in 20+ homes and speak 1:1 with the best builders in Greater New Orleans! Brought to you by the Home Builders Association of Greater New Orleans for 63 years. 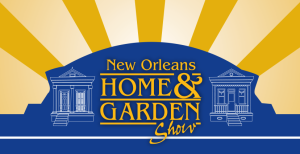 Join us at the Mercedes-Benz Superdome on March 15-17, 2019 for the New Orleans Home & Garden Show! NOEL provides cutting-edge information, comprehensive education, research and charitable offerings to the building industry, consumers and the broader public.